Another year and another volley of DC Universe titles. We start this year off with All-Star Superman, the 2006 (yeah, it’s really been five years) critically acclaimed comic book that fired a jolt of silver age through the Superman mythos. While it was definitely a lot goofier than the modern day dead-serious comic books, it mixed in so much of the old with the new that it felt simultaneously fresh as it did familiar. Occasionally hokey dialogue or laughable scenarios, by modern-day comic book standards, just worked with the way writer Grant Morrison and artist Frank Quietly presented this world where Superman is dying. It’s a depressing story to be sure, but also one that sends chills and a myriad of goose bumps around your body. My exposure to the comic was limited at first; I remember reading the first couple of issues, but around that same time I got busy with school and my interest in comic books waned significantly. I never cared to catch up on it and it wasn’t until after I watched the movie I opted to go back and read the series. I did definitely enjoy reading it, as it was a kind of return to calm for Superman, but he also let his anger get the better of him in a few situations, which made him feel like the modern day Supes as well. That’s all translated over the film as well, although that’s sadly one of only few things that really worked in this film. I will again emphasize that I hadn’t read the entire series before watching the film, so I was going in kind of half and half (though not even that, as I’d only read the first couple issues). This allowed me to experience the film as more of an outsider than past films, because I didn’t know everything about it going in (only the basic gist which that Superman was dying). However on the flip side it made things all the more awkward and irksome as the film progressed into a seemingly random series of stories—but it dawned on me by the time the Kryptonian space explorers showed up that this film is more like a series of episodes in a season long story arc of a TV series. The problem being it was paired down to be a movie with a loose thread that was woven throughout it—a thread we’re occasionally made aware of but nothing that really comes into play except for the beginning and end points of the film. At first I thought the awkward transitions in the film were just a case of sloppy editing, but after I read the comic book and watched the film a second time it dawned on me that it was really just the issues ending and a new one beginning. This wasn’t so distracting at first, but moments like Superman leaving for two months and then reappearing mere seconds later lacked any kind of emotional resonance because we didn’t have the gap between issues that the original comic book permitted. They could have easily focused on a film that was just Luthor and Superman duking it out once again, but there’s no fun in that—but there’s also no reason for Lois Lane to be Superwoman for a day or Superman arm wrestling with two super strong dudes for her affection. So the alternative would be to either allow these quirks in and work a real story around them or basically rehash Superman/Doomsday with a few differences. After the last DC Universe effort (Superman/Batman: Apocalypse) I didn’t really have any interest in this series to be honest. 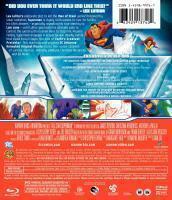 I don’t think I even watched a trailer for All-Star Superman — all I knew of it was from the “sneak preview” we got. So my excitement for this film wasn’t high already, but once it arrived in all of its shiny glory I did get a little bit excited—even if it was a generic Superman story, it still had to be an entertaining effort regardless. But I sat there for an hour, trying to understand what haphazard story this film was trying to assemble before its last act partially redeemed it. The fight between ‘Super Luthor’ and Superman wasn’t particularly amazing, but the subject matter was intense. I mean the film was rated PG, yet we get to see Luthor put in the electric chair and the switch flipped? It was a crazy start and the resulting speeches from Luthor and Superman right before Superman went all Captain Atom in the sun were both poetic and confusing, but it really was probably the best part of the entire film (which is sad because I spent the prior hour yawning and repeatedly checking my phone for no reason). 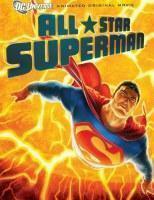 Really I think All-Star Superman was quite frankly a comic book that worked better as only a comic book. The basic story definitely could’ve been adapted into a feature length film, but too much of the excess and fluff was kept in. Lois going bananas in the Fortress of Solitude was just weird as hell in the film, but in the comics it felt natural. A time traveling Egyptian statue that demanded answers to riddles forced me to question what I was watching, but in the comic it felt the a natural progression for the story. Even watching the film after I read and could fully appreciate the comic book didn’t help, simply because this film shouldn’t have been animated. If anything it should’ve been a series of DC Showcase shorts, because that’s how the comic books read themselves—loosely connected stories that harkened back to the Silver Age of Superman. Stringing them together in a very loosely assembled movie just didn’t work for me. At all. The film wasn’t a total bust. The voice actors were nice (Hendricks as Lois was especially good) and really weren’t distracting for me to hear in the least—they all fit their characters perfectly. No one felt out of place and it all worked with the animation style provided here, which was of the minimalist variety (an attribute to Quietly’s art). In the same fashion though the animation was strangely stiff at times; I thought maybe it was the animation studio but considering the absolutely gorgeous animation Moi Animation has done in the past it definitely wasn’t that—this film just had a lot of fluidity sucked out of it which made for choppy leg movements (the long shot of Lois and Samson walking around the Earth’s core was especially strange to me as their leg movements were very…horse-like to me. That and they were in perfect sync which was even stranger. Hazards of Blu-ray resolution, I suppose…) and just an overall lack of neatness. There were definitely some beautiful visuals however, most of which accompanied the later part of Lois’s Superwoman journey (the ocean, the moon, the cityscapes). In the end All-Star Superman isn’t on the mediocrity scale that Superman/Batman: Apocalypse was by any means—that whole film was just a really bad production (to me at least, I’m sure many enjoyed it). Instead All-Star Superman is just a film that could have been good, but they left to many of the random story points in and that just brutally disrupted the flow of the film. If you look at it as an entire season of a TV show in 76 minutes I suppose it’s not bad, but there isn’t any real middle portion to the film. There’s a clear start and end (obviously) but it really just flat lines during the rest of it so we’re left with a lot of dull and mundane story to fill up the majority of the film. I definitely get what they were going for with this film and I really wished it succeeded. However, they kept way too much of the episodic nature of the series which makes this “film” feel uneven and thrown together. In the past they’ve been willing to chop, delete, and restructure as needed for other films…I’m not sure why that wasn’t the case with All-Star Superman. Sure there were story arcs or mini-segments left out (Jimmy Olsen’s stuff, the near suicide), but leaving those in might’ve helped alleviate the half-and-half feeling this film has (in that it’s half a bunch of mini-stories and that it’s half an actual movie). I’d be less harsh on these films if they were just episodes in a season, but considering their bigger nature because of the DTV format I just naturally expect stories that are tight and focused. All-Star Superman just isn’t and even if you loved the comic book series, chances are you won’t enjoy this film—it doesn’t disrespect, mutilate, or change the source material in any way…and that’s really the film’s biggest problem. Give this one a Rental. 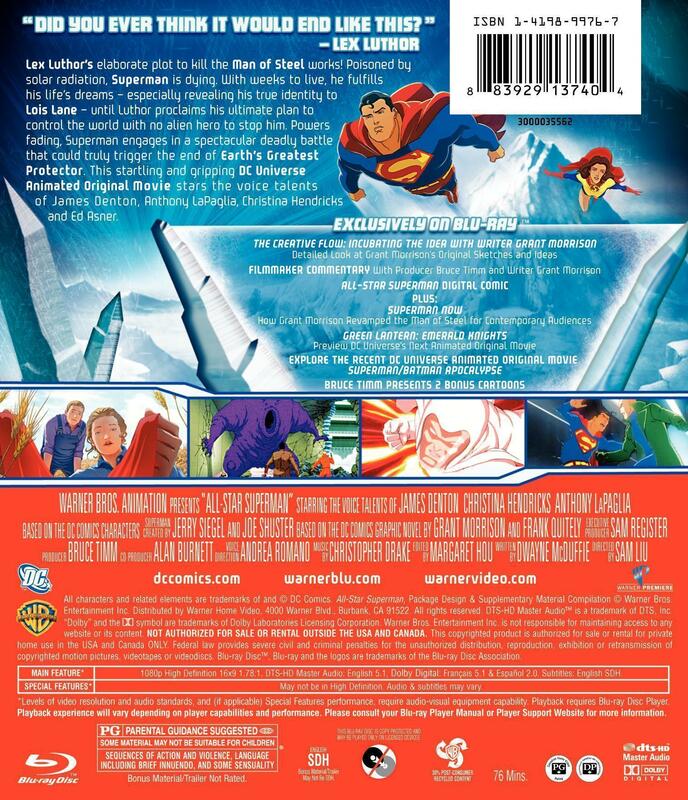 Warner tosses All-Star Superman onto Blu-ray with a standard Elite Blu-ray case housed underneath a reflective foil/embossed slipcover. Inside the case is the usual assortment: a Blu-ray for the film and an insert containing the digital copy activation code…for which they included a physical disc this time (and on that disc is also a DVD copy of the film as well…bonus!). The movie even has a main menu you get to choose from before it auto starts, which is nice as there are actually genuine extras this time around to check out. I know, I know—it was shocking to me too. Before we get into the disappointing extras, let’s first take a gander at the technical presentation. The VC-1 encoded transfer is as close to flawless as you can get, sans a few moments of gradient issues but that’s to be expected from an animated production. There’s a lot of very simple animation in this film with very drab or monotone backgrounds but the flat colors really just made the majority of the production looked fantastic, particularly the aforementioned Superwoman/Lois (whatever you want to call it) sequence. Overall there’s an excellent amount of clarity to be found throughout the production. If there was anything hindering my enjoyment of the film it had nothing to do with the video transfer. And nor the audio either. Warner follows up from the previous two DTVs with another DTS-HD MA 5.1 track this time around. After years of DD5.1 mixes on these films, we’re finally given a proper lossless mix and it sounds fantastic, although this film is admittedly much more subdued that others. There’s a fair amount of LFE mixed in throughout, but there was only a few times I actually noticed the surrounds (a directional bit where cars go flying into the surround speakers as they go off-camera…very cool, but the film needed more of that) kick in to any real extent. However the audio mix did push out the films magnificent score, once again done by Christopher Drake, with exceptional clarity. It’s a very Superman sounding track—like the Reeves films but also a bit like Superman Returns…it’s just a really solid mix all around. If anything I hope we get a soundtrack release for this film as I’d love to hear some of these pieces isolated. Extras this time around do not include a DC Showcase short (are we out of those? I really enjoyed that Superman/Shazam one—hell that whole disc of extended shorts with commentaries was a pretty nice package), but we do get the return of the audio commentary. Huzzah! Seriously, huzzah, because these films are so entrenched in comic book goodness it’s a crime to not have their creators talk about it. The commentary this time around is with Producer Bruce Timm and Writer Grant Morrison and it is really a must-listen for fans of the comic book. Timm is as much a fan of the comic as everyone else is (probably moreso) and it seems all he can do to hold back showering Morrison in constant praise (though there is quite a bit of that [and it’s all deserved] as well). There were very, very few periods of silence on the track and they are rarely hurting for something to say—although there are times when Morrison would go on long strings of things to talk about and Timm would agree every few seconds with an “mm hmm,” “sure,” or some other concurring sentiment. I thought about making a drinking game out of the whole thing, but I’m pretty sure I would’ve ended up with alcohol poisoning by the four minute mark if I’d gone through with it. Overall though it’s definitely a strong track – probably one of the strongest to come out of a DC Universe title – and well worth watching even if you perceived the movie to be as dull as I did. The first two featurettes are heavy on Morrison and really tear down the entire process of All-Star Superman to a great degree. While we once again don’t have a making-of for the film itself these featurettes do get deep into what it was sourced from so I guess that was a decent trade off (especially with the commentary taken into account). The Emerald Knights sneak peek shows us that it’s going to be like Gotham Knight with different animation studios handling different mini-stories…it’s going to cover a lot of different areas of the Lantern Corp, so it should be fun though I’m wary they’re focusing so much on Arisia being the newcomer to the group to be the audiences “tour guide,” considering we got that already with Hal in First Flight. Overall this disc is Recommended for fans of the comic book, but truth be told I doubt I will ever watch this movie again as there just isn’t enough to keep your attention focused for the hour and sixteen minutes that it runs. 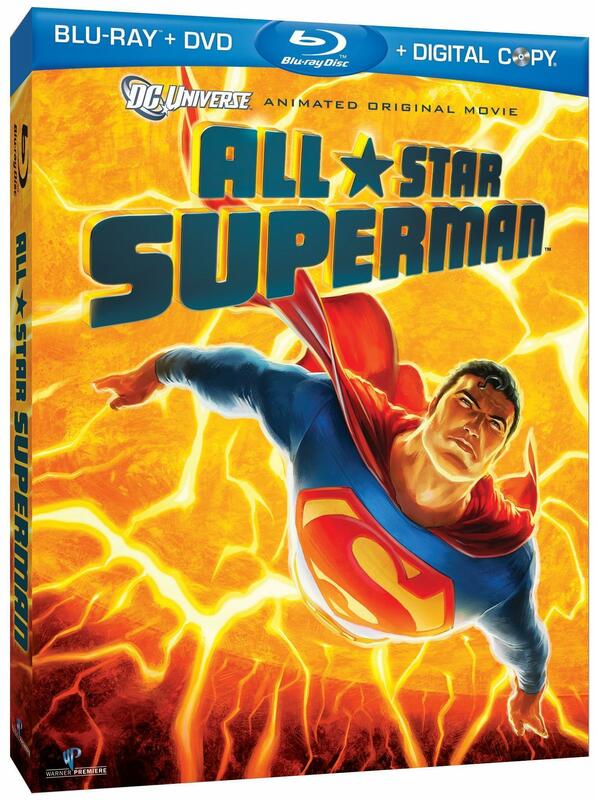 All-Star Superman is now available on Blu-ray and DVD.